Remarketing is becoming more important to online marketing strategies everyday. Sales are based on becoming a top choice for your ideal target customer, which means you need to make the most of good leads as often as possible. Remarketing using just the remarketing lists you built in AdWords will not help find that perfect audience. 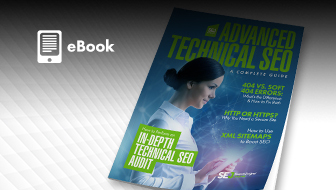 A lot of traffic you will be targeting may be irrelevant. So, how do you make sure you are targeting your ideal customers and enticing them to come back and complete a purchase? 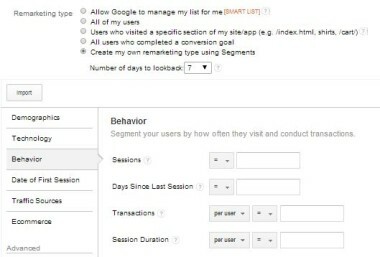 Here are five lists you can create in Google Analytics to boost the effectiveness of your remarketing strategies. 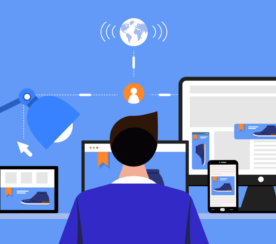 People that have spent more than 30 seconds on your site are much more likely to buy than people who spent just a few seconds on it and then bounced off. They were more likely to be interested and actually debated making purchase. 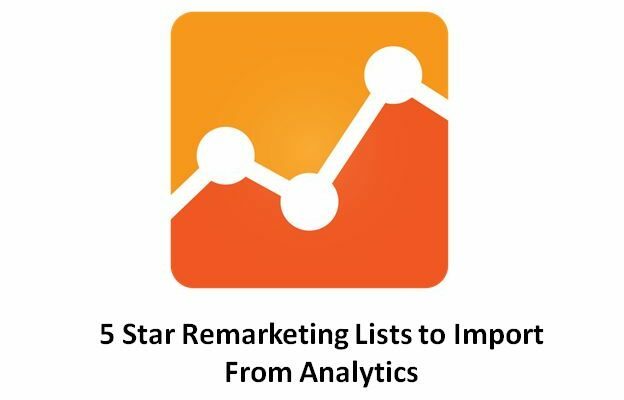 In order to create this list, go to the admin section of your analytics, then click on “Remarketing”, then “Lists”. You now need to click on “Create a new remarketing list” and then “Create my own remarketing list using segments”. All you have left now is to go to the behavior section of the segment and set up a session duration higher than 30 seconds. Once you save the list you will be able to see and use it in the AdWords account you have linked to that analytics. 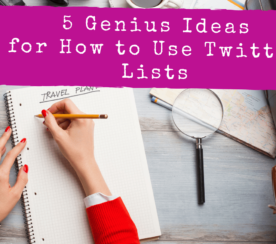 Creating this list is very similar to what we did before. 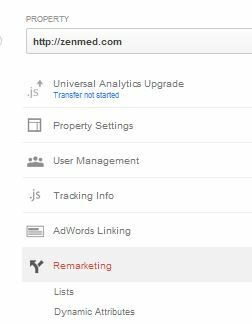 Go in the admin section of your analytics profile, then click on “remarketing”, then “lists”. 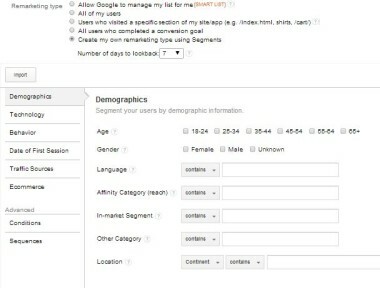 Then, select “Create my own remarketing type using segments” and choose “demographics”. Customize your selection by choosing the desired settings in “location”. Using the Google Smart List is a relatively new tactic, but it can be extremely beneficial to test out on your accounts. 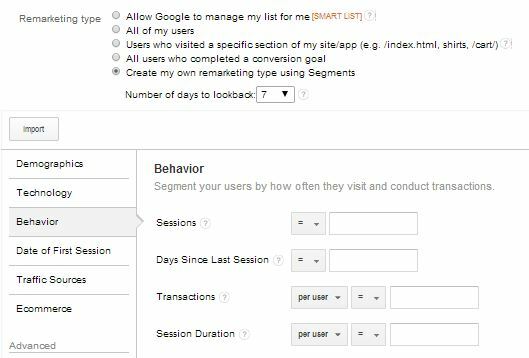 In order to be able to take advantage of this feature you simply have to go into the admin section of your analytics and click on “Remarketing” and then on “Lists”. You now need to select “Allow Google to manage my list for me” under “Remarketing type” and save it. You are already done and able to test out a new audience right away! All of these people might be very good targets for a potential advertising campaign because they are more likely to convert. People who looked at shipping costs or offer pages on the site could be offered free shipping, free shipping over a given order amount, a reminder about the offer expiration date or any other offer related to the page they visited and that makes the deal sweeter. 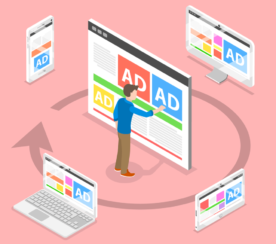 All of the other users can be retargeted with a more general message, but you should test several ad messages to see what works best! Creating the lists is easy and you just need to follow the steps we used for the previous steps but changing the list settings. Analytics will also help you figure out what ages and genders are the most profitable for your business. Once you find that out, the best way to get the most out of them is to simply retarget the people in these segments who did not convert yet! Reaching out to the most profitable audience for your business is a pretty obvious key for success. However, this tactic does not exclude people in your most profitable segments who are not the right customers. In order to account for that, you need to work on additional tune ups to qualify your traffic. 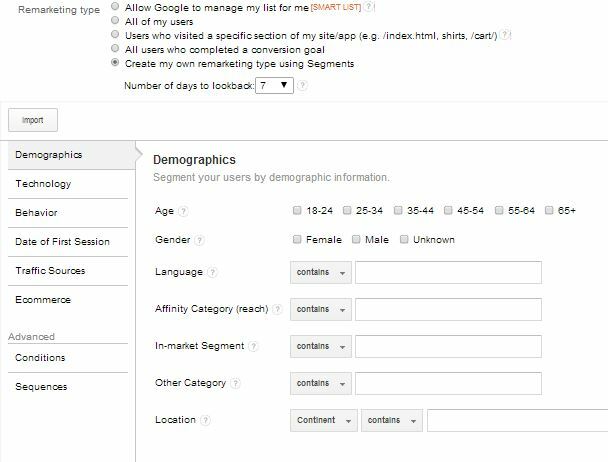 For instance, you could create a remarketing list for your best age and gender and then combine it with restrictions in terms of bounce rates and average times on site which you consider ideal. Also, you might want to consider using page visited as another good parameter in deciding to which users to remarket to. 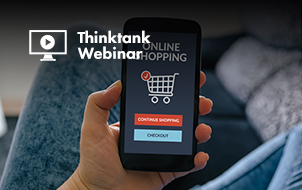 Remarketing is one of the most effective tools when it comes to maximizing your profits by targeting potential customers who have already shown interest in your product. But, you must use it carefully to make the most of your money. 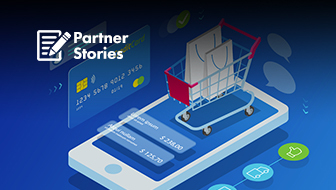 Looking at analytics and eCommerce data is a great way to find and target the clients who are most likely to convert. Just remember to keep testing to find what works for you. 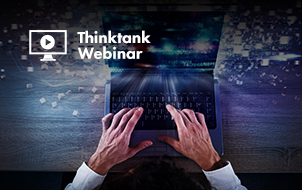 Have you had success (or failures) using Remarketing? What have you noticed seems to work or not work? I would love to hear your experiences in the comments below. All screenshots taken June 2014. Featured image created by author.